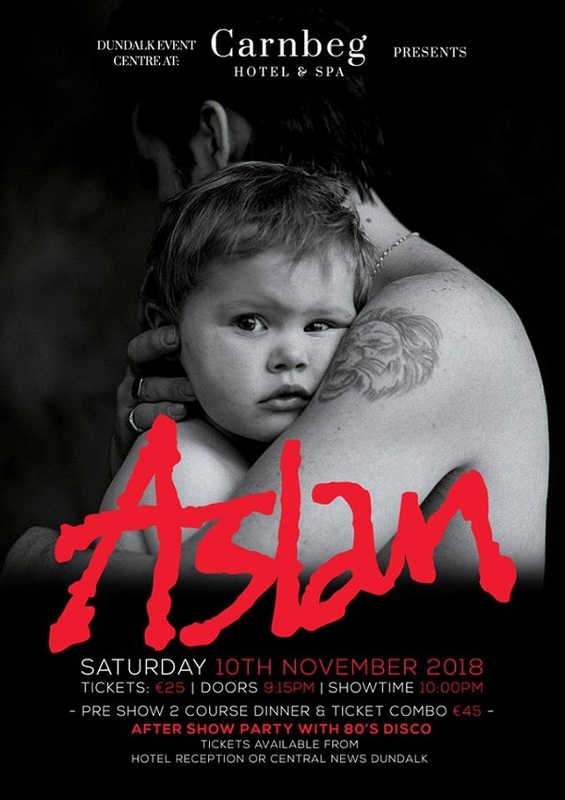 Aslan will perform at Carnbeg Hotel on April 13th, 2019, for one night only. Tickets are €25 plus booking fee and are available from the Hotel Reception, Ticketmaster and Central News. Concert and 80’s after party access is included. Enjoy a two-course meal in our restaurant including your concert ticket for €45 plus booking fee. Contact the Hotel to book.